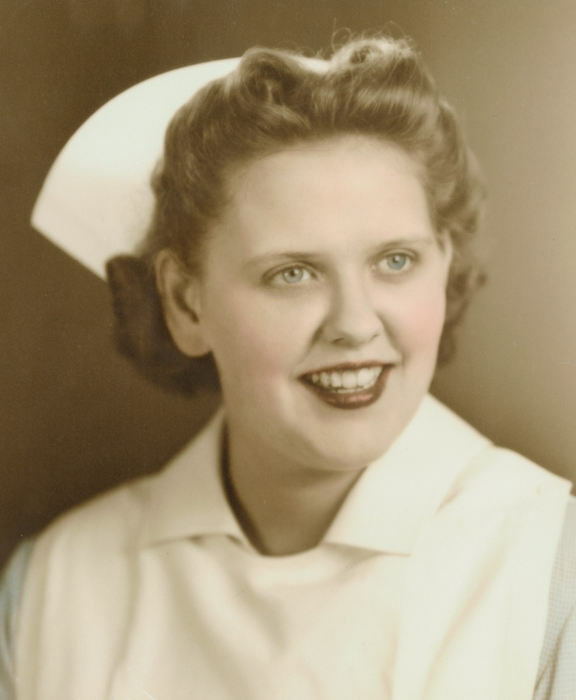 Obituary for Camille Augusta (Esenwein) Nulf | Family Care Services, Inc.
Columbiana - Celebrating the life of Camille Augusta Nulf, 94, a lifelong resident of Columbiana who passed away on Wednesday, April 3, 2019 in her home surrounded by loved ones. Mrs. Nulf was born March 16, 1925 a daughter of the late Thomas and Minnie Lather Esenwein. Camille had worked as a registered nurse for Dr. Moorehead, Dr. King and Dr. Keylor. She was active in the American Legion Auxiliary Post 290 of Columbiana, and a member of the Jerusalem Lutheran Church of Columbiana. Her beloved husband, Melvin “Noonie” Nulf, whom she had married, June 6, 1958 died September 30, 1986. A brother, Raymond Esenwein also preceded her in death. Camille is survived by her daughters, Jenny (Sam) Fleeson, Carrie (Rob) Naughton and grandchildren, Terry and Tempestt Kitchen. In lieu of flowers the family wishes contributions would be made to Community Hospice, 2341 East State Street Unit B Salem, OH 44460 to thank them for their help.